Shop online for over 300 new hobby and model paint at discounts up to 34%. Enamel is the most popular of the 8 new hobby and model paint categories, then Acrylic, and Lacquer. Testors is ranked #1 out of 11 new hobby and model paint manufacturers, followed by Tamiya, and Badger Airbrush Co.. This is a 1/2 Pint Can of Testors Airbrush Thinner. This is a 3 oz. (85 g) Can of Lusterless Flat Finish Spray Paint. 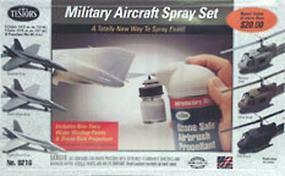 This is a Military Aircraft Spray Set from Testors. 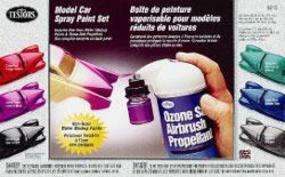 This is a Testors Model Car Acrylic Spray Paint Set. This is a 3 oz (85 g) can of High Gloss Clearcoat Enamel Spray Paint. This is a 3 oz. (85 g) Can of Gloss Black Enamel Spray Paint from Testors. This is a 1/2 oz (14.7mL) glass jar of Flat Dark Green Acrylic Paint from Testors. This is a 1/3 oz Enamel Paint Marker Gloss Yellow by Testors. This is a 3 oz. (85 g) can of Metallic Copper Enamel Spray Paint. 10ml Jar of Tamiya XF-7 Red color Acrylic Flat (Matte) Paint. This is a Testors Acrylic Paint Set for Auto and Truck Models. 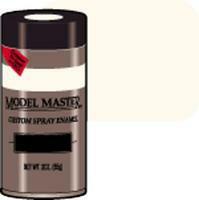 This is a 3 oz (85 g) can of Semi-Gloss Clear Lacquer Overcoat Spray Paint. 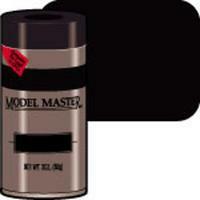 This Can of Black Paint is Part of the Testor ModelMaster Automotive Colors Custom Lacquer System. 10ml Jar of Tamiya XF-3 Yellow color Acrylic Flat (Matte) Paint. 100ml Can of Tamiya TS-4 German Gray Synthetic Lacquer Paint. 10ml Jar of Tamiya X35 Semi Gloss Clear color Acrylic Gloss Paint. 23ml Jar of Tamiya XF-14 JA Gray color Acrylic Flat (Matt) Paint. 10ml Jar of Tamiya XF-52 Earth color Acrylic Flat (Matte) Paint.